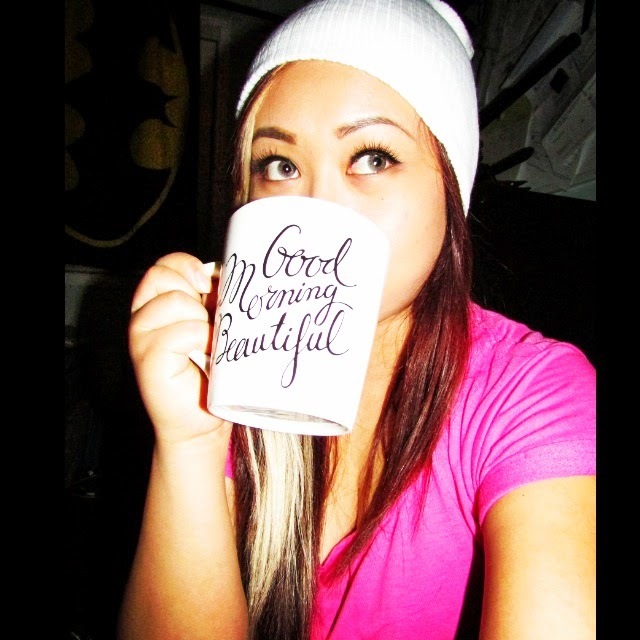 I am an avid wearer of coloured contacts since I was 16. 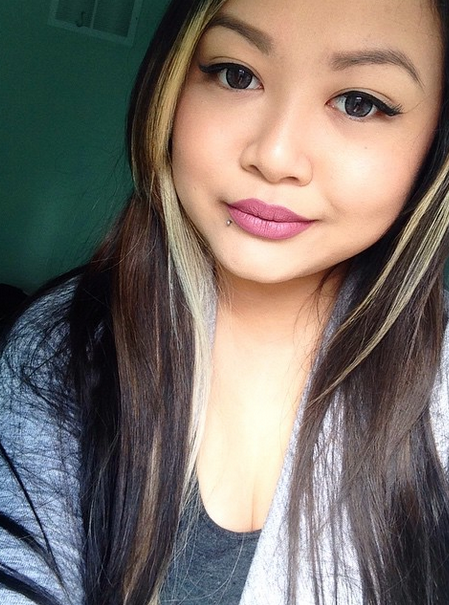 I love the ability to change my look everyday just by changing my eye colour. 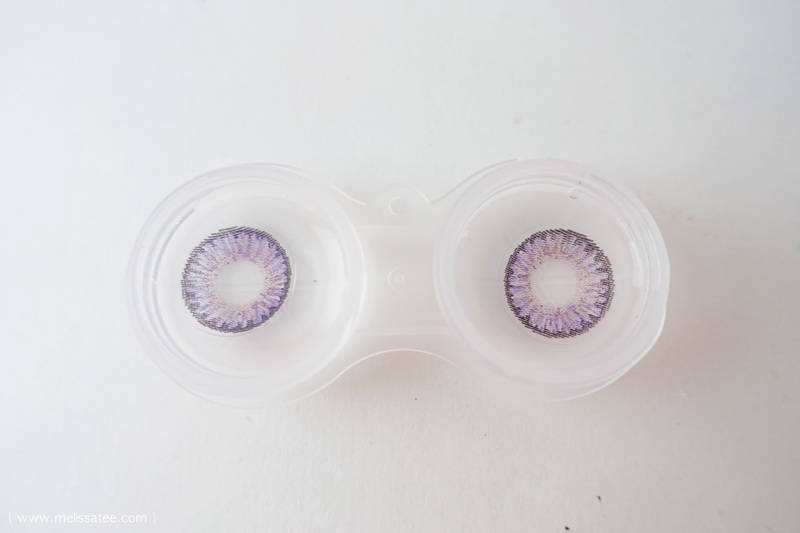 When I got an email from Klenspop, I jumped at the opportunity to try coloured lenses from Korea. 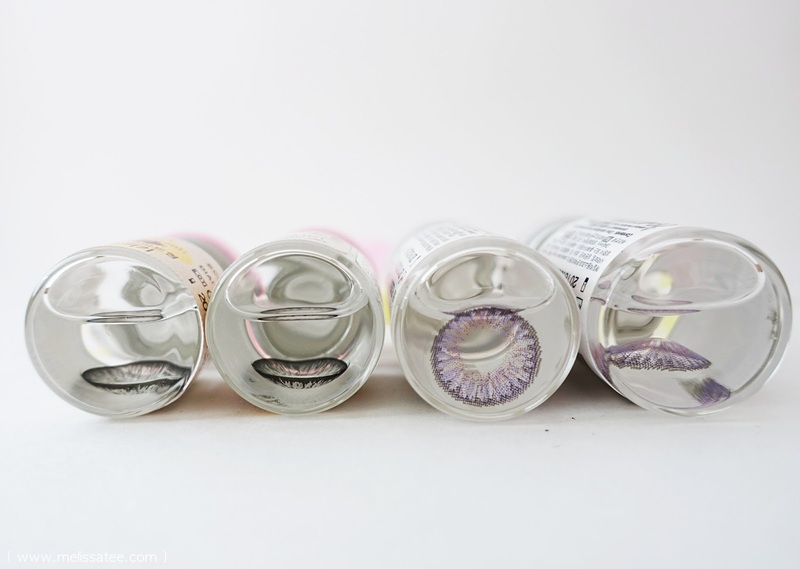 Klenspop is the leading company of circle lens and cosmetic lenses, providing people with various types of lenses, at very affordable prices. I was actually quite surprised to see the pricing on their website. 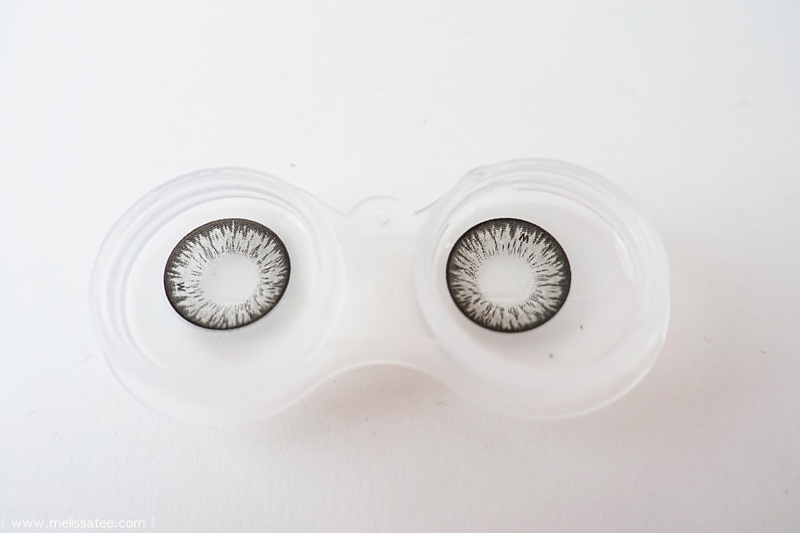 (Lower than any other lenses I've seen on the web) From what the website has stated, they don't charge extra for the prescriptions either, which is INSANE. *UPDATE:* I just got a confirmation from them, they don't charge extra for prescription, THAT'S AMAZING!! I got these lenses sent to me for review and testing purposes only. I am not getting paid for this review. I was sent two pairs of lenses from Klenspop. They said they would send me the lenses on April 1st, and I received them on April 20. It took 2 and a half weeks to arrive, (13 business days) which is super fast for something coming all the way from Korea to Canada. The contacts came packaged in a cute little brown box, and each box of lenses was indivdually wrapped in bubble wrap. 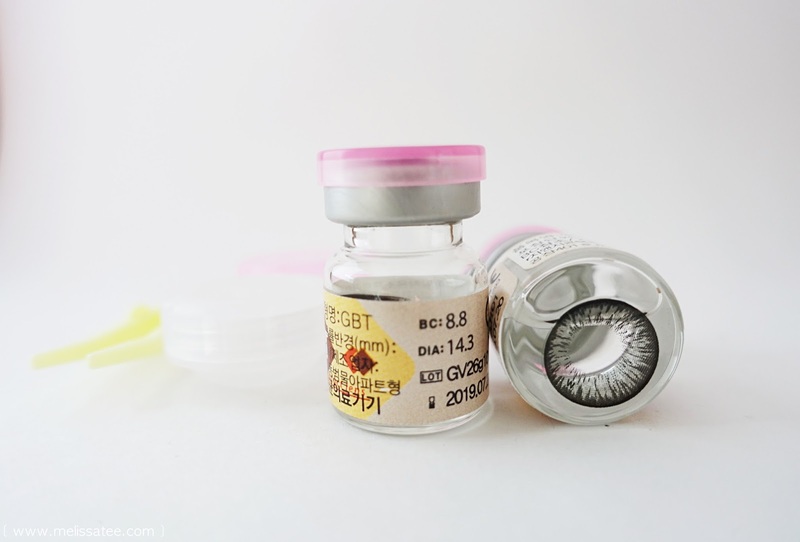 Here is the vials of the lenses. I received a pair of G&G Contact GBT Gray and Mi Gwang EXY 3 Color Violet. The boxes each pair of lenses come in. 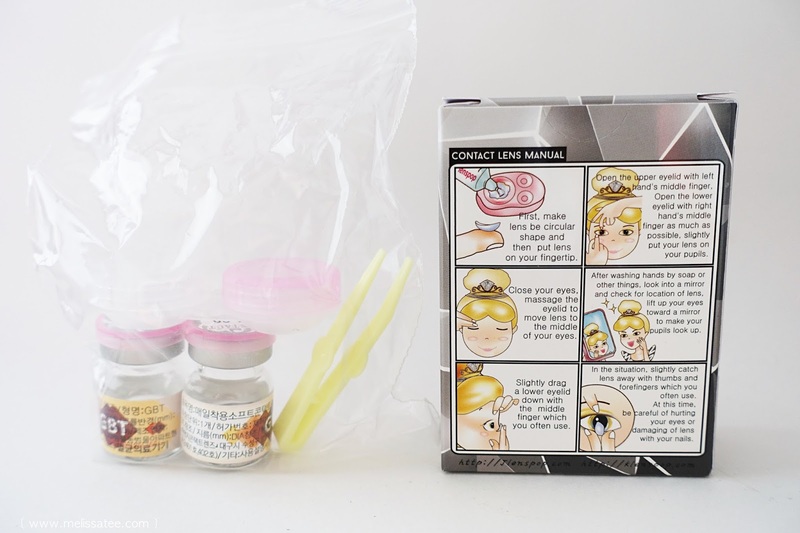 You also receive a pair of tweezers and a contact lens case with your lenses. On the back of the box is also a manual on how to put in contacts if you're new to it. 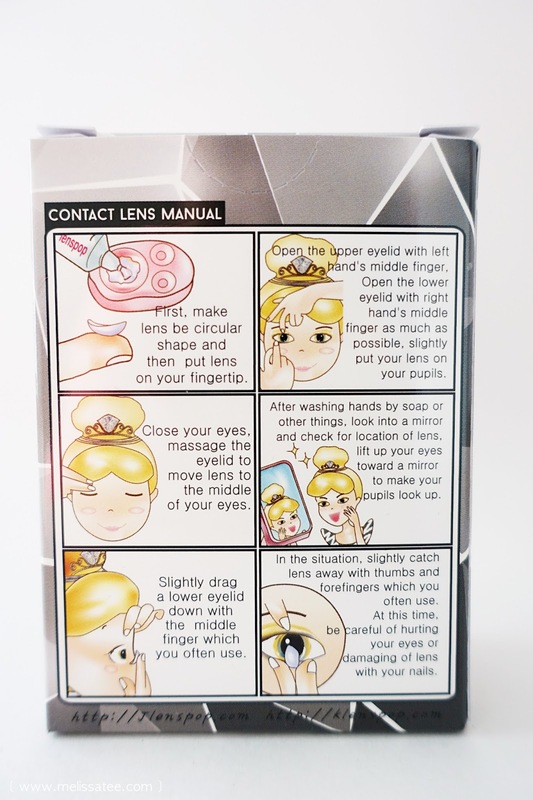 Detailed contact lens manual with little illustrations, love it ! 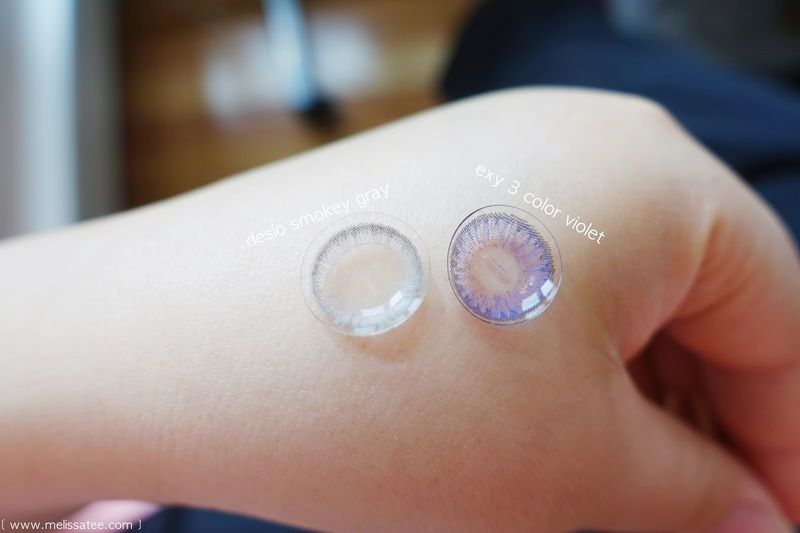 I was pretty hesitant on trying these lenses because I've never worn circle lenses before. They look fairly huge and intimidating, and I was terrified to try them on! 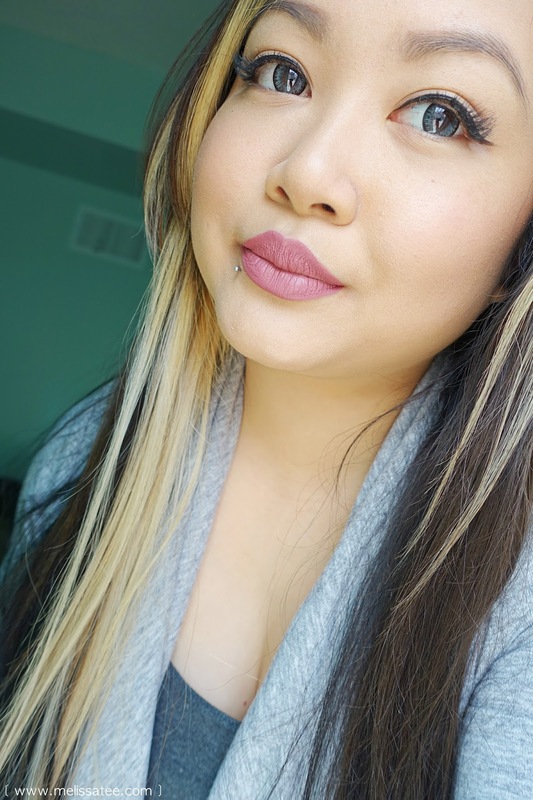 I've been wearing my desio lens almost everyday because I absolutely love it. 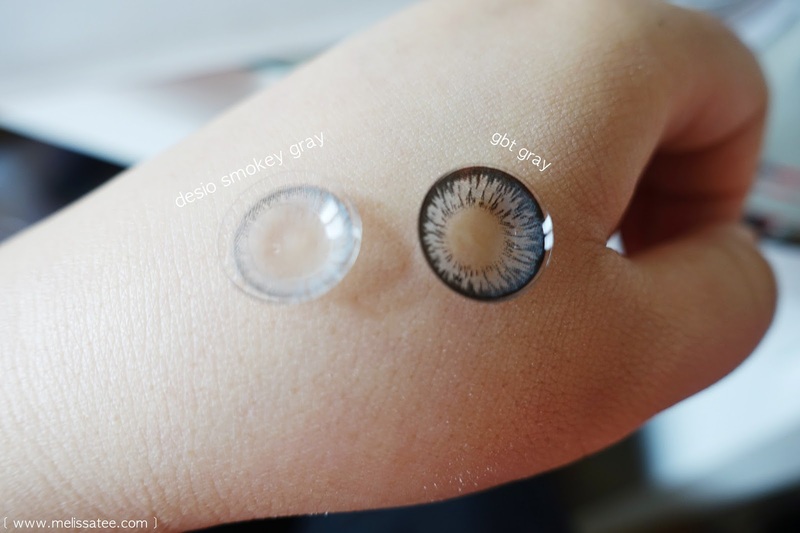 You can see that the GBT Gray is a lot bigger than the desio one. Bam! They also make my eyes look super huge, which I surprisingly have fallen in love with. I was able to get these lenses in super easily and it didn't hurt at all. 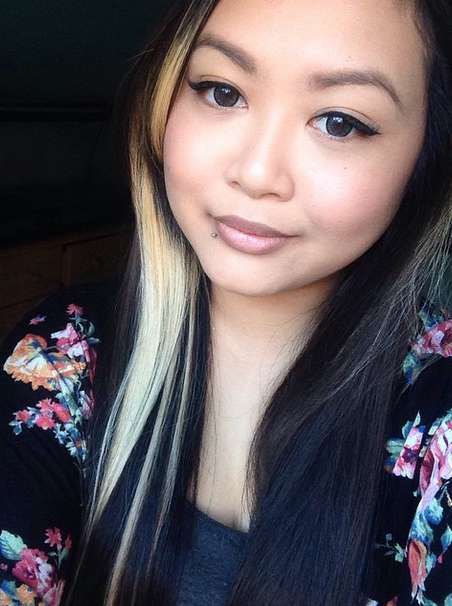 With my desio ones, it took a few tries for them to become comfortable. These lenses were comfortable right from the start. They're extremely thin, even though they have a larger diameter than I'm used to. I got a good 6-7 hours wear from them before my eyes were starting to get dry. These lenses are good for one whole year. Another thing.. this pair is only $13 US!! 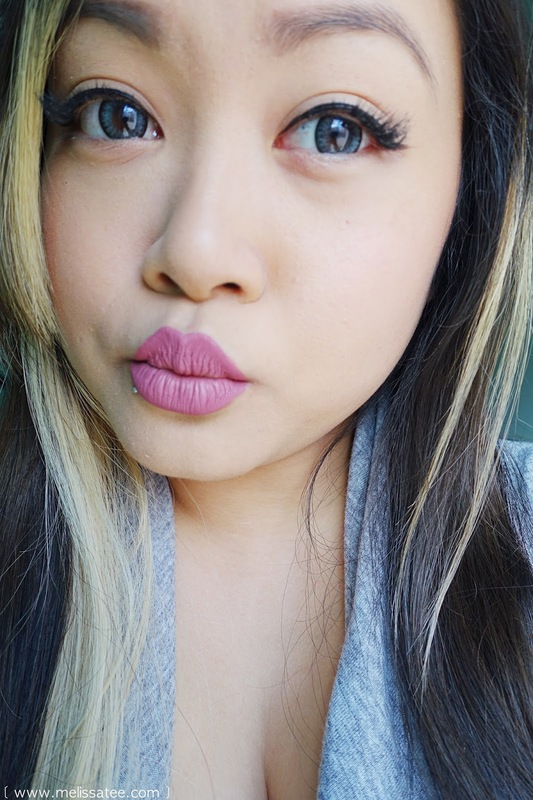 I was actually super excited about these ones, because purple contacts are one of my top favourite colours to wear. So I was ecstatic to know that they are available in many styles on Klenspop's website. 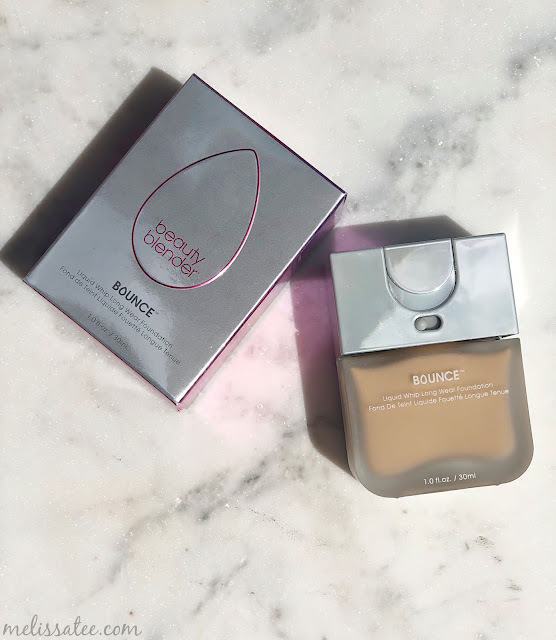 This lens is fairly similar in diameter and design with the Desio lens. Unfortunately though, One of the lenses I received for this pair must either be damaged or something because it refused to go into my eye without hurting, which is a sign for me that there is a tear of some sort. Huge bummer because I loved how this looked on. Here is my one eye that I could get on though! These lenses also are good for one year. And now here are a few snaps of me wearing the GBT Gray lenses. I'm probably going to be wearing these lenses all the time now. I look a bit scary, but at the same time I love how they look on me. I guess I'm just not used to my eyes looking so big! I am for sure going to be purchasing more lenses in the future from them. The fact that they're so affordable and some of them have a year lifespan?? 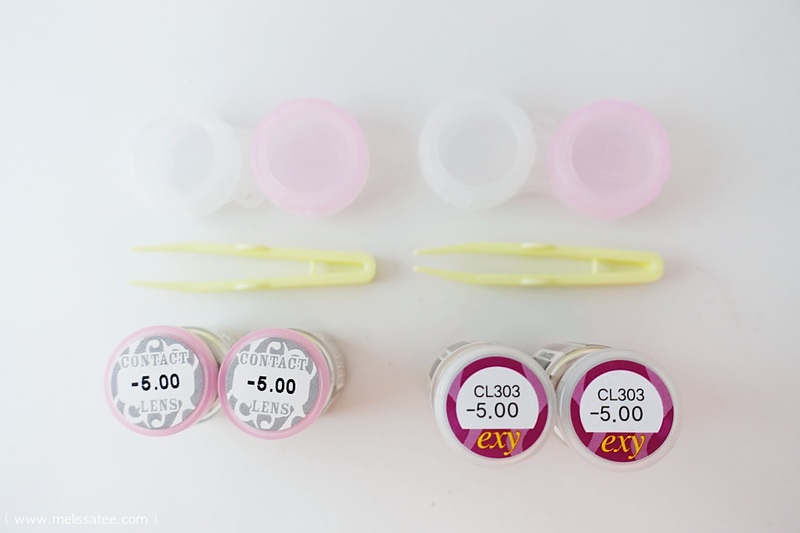 I've been paying crazy prices for lenses ever since I wore contacts, and to know that I can buy all the colours I want for such great prices?? I'm sold.